The buyer’s journey has changed drastically over the past few years with a large part of business-to-business (B2B) buyers completing 60% to 90% of the purchase process before contacting a sales representative. Forrester Research analyst Lori Wizdo found that today’s buyer is anywhere from two-thirds to 90% of the way through their journey before they reach out to the vendor. This is because buyers no longer have to rely on a sales team to get the information they need about an organization, product, or service. Buyers today can search the Internet, examine company websites, read customer reviews, watch videos, and browse social networks to know as much as they want about the opportunities an organization provides, as well as how that organization stacks up to its competitors. By ‘Googling’ an organization, they can find out about its products and services, work culture, employee complaints and praise, what its customers think about them, how their friends and family rate the organization, and what their competitors offer. Buyers now have access to many of the same digital tools that marketers use to aid them along in their journey. Since this is the case, marketing teams must fine-tune the methods they have used in the past to communicate with present customers and likely future customers. 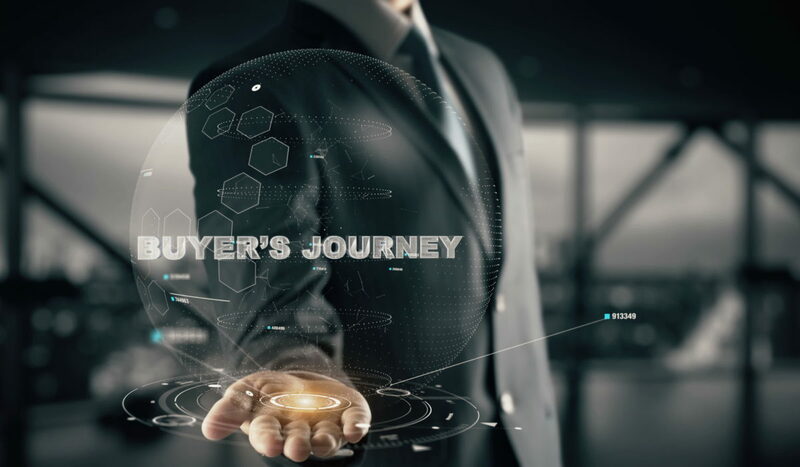 Due to the evolving buyer’s journey, marketing teams are more important than ever for an organization to maintain success and experience sustained competitive advantage. Marketers must consistently provide relevant content that buyers are looking for, and present it in the language they are speaking and in the form that is most engaging to them. Since over half of the buying process takes place before a sales representative even has a chance to interact with the buyer, an increase or decrease in revenue for an organization is no longer dependent on how effective the sales team is, but also on how well the marketing team maps out content that the buyer reads, hears, or watches, along his or her journey. Sales will continue to play a significant role in organizational customer relationships, but marketing is set to play an even larger role as time goes on. After all, marketers are the key people in an organization who keep track of customer behavior and analyze customer data through the use of marketing automation software, social media, customer retention, etc. ; so, who else would be better to manage customer relationships? Top of the Funnel – This is the awareness stage where prospects are looking for information about a need or want they have. Middle of the Funnel – The is the evaluation stage where prospects are doing strategic research on whether or not a specific product or service will meet their need or want. Bottom of the Funnel – This is the purchase stage where prospects are ready to buy a product or service, and switch from prospect to customer. Marketers must be active every step of the way. Through white papers, eBooks, how-to infographics, and educational videos marketers can help drive awareness in the top funnel. Through case studies, service or product samples, FAQs, and demo videos marketers can help drive engagement in the middle funnel. Through free trials, live product release videos, contests, and giveaways marketers can help drive conversions in the bottom funnel. Without an engaging map of content for the buyer to follow, he or she will never complete the journey from skeptical prospect to committed customer.